Last night I went with the guests of Elisabeth’s B&B for a walk nearby their Bed and Breakfast. We met at the Place du Panthéon in front of the Church Saint Etienne du Mont. You probably know Woody Allen’s movie: ‘Midnight in Paris’. 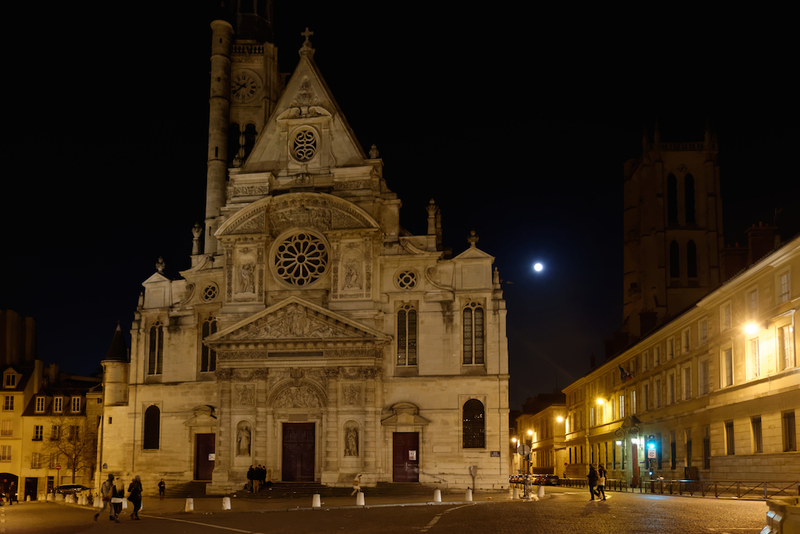 If so, you have already seen the facade of Saint Etienne du Mont as it is on the steps of that church that Gil is waiting for the old car which takes him back to the 20s’.